Such a unique bathroom accessory. 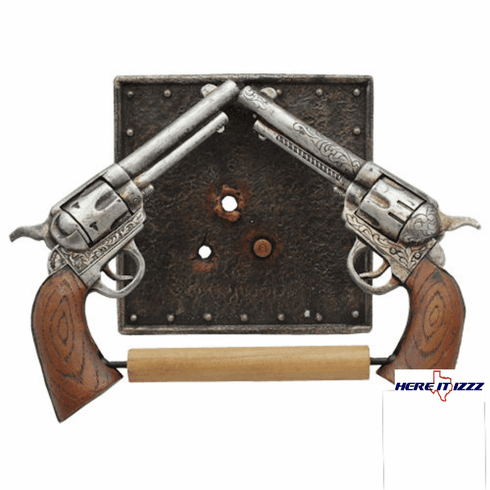 Couple hand guns affixed to become a toilet paper holder. Vintage look design six-shooter pistol handguns. Wall mounted toilet paper holder with mounting screws included. Perfect item for the hunting lodge or shooting gallery.